Amongst the many nicknames we give summer in New England — beach season, BBQ season, construction season — my favorite is probably picnic season. From a simple blanket on the beach to an elaborate spread in a local park, it just takes a little advanced planning and know-how to take full advantage of the short season and execute the best summer picnics with ease. We recently recommended several restaurant patios for dining around Boston, and where to find the best picnic-ready sandwiches, but if your plans are a little more far-flung, or you’d rather DIY your outdoor dining, here are all the tips and recipes you need to plan the perfect picnic. Cooler or insulated bag + ice packs: It’s important to keep your cooler under 40° F. Ice packs are easier and less messy than ice, which can melt and turn your entire picnic setup soggy. If you don’t have ice packs, fill heavy-duty resealable plastic bags with ice. Whatever you do, it’s important to keep food cold. According to the FDA, “The key is to never let your picnic food remain in the "Danger Zone" — between 40° F and 140° F — for more than two hours, or one hour if outdoor temperatures are above 90° F.” In other words, if any perishable food is out of the cooler for longer, toss it! Skip the deli meat and make a few dishes that you’ll really enjoy al fresco. 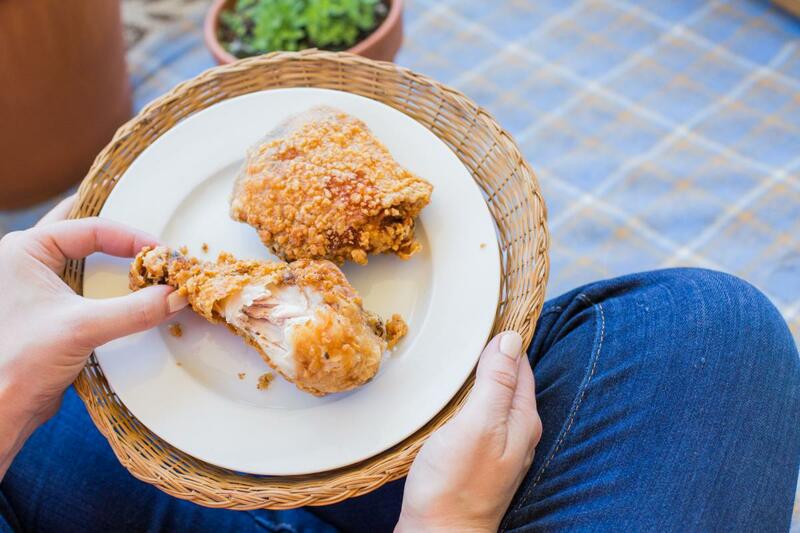 This picnic fried chicken is a perfect make-ahead recipe, meant to stay crispy when eaten cold. A little mayo on a sandwich is fine (go with the shelf stable stuff), but it’s best to avoid heavy, mayo-based side dishes in the heat. 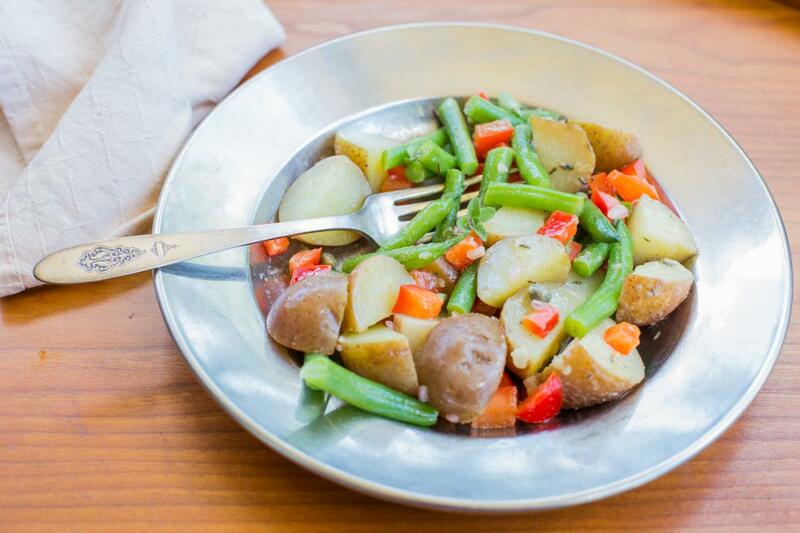 A fresh and light French potato salad is just as satisfying, and way better for an outdoor affair. Sandwiches are a picnic staple, but you don’t have to settle for deli standards. We were lucky enough to get the recipe for this hearty vegetarian take on the banh mi sandwich from Strip-T’s restaurant, which we recently featured in our favorite picnic sandwiches article. 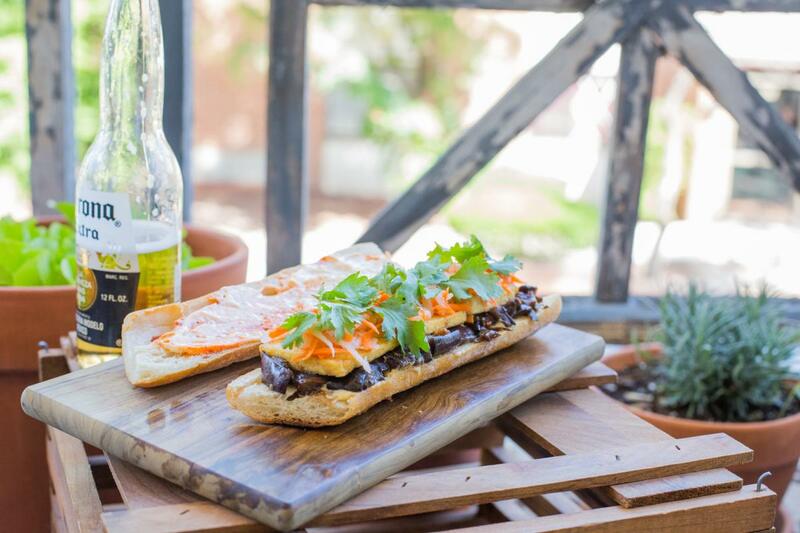 The components of the eggplant-tofu banh mi are easy to make ahead, and then assemble while you’re packing your cooler. Think drinks: Bring along your favorite beverages in sealed, no-spill containers. There’s nothing worse than getting to your picnic and finding that your lemonade has spilled in your cooler. Pack unopened jugs, or refill sealable bottles with your favorite beverage. 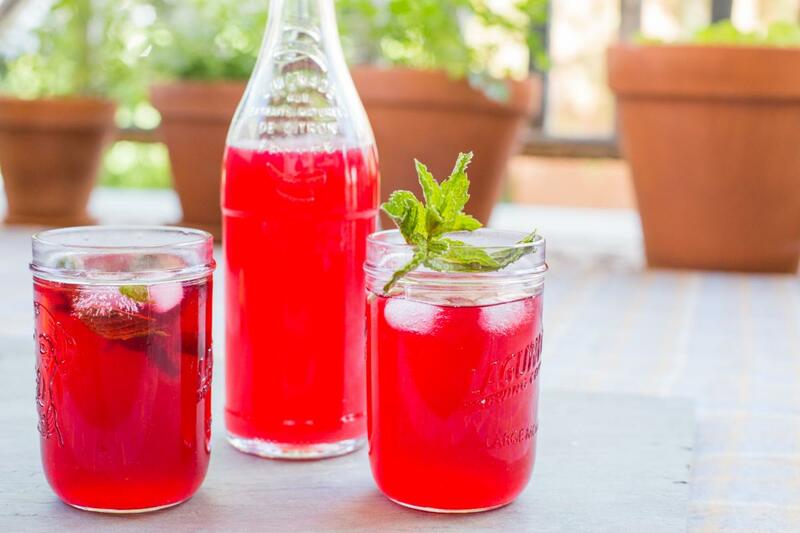 Our suggestion: this dazzlingly refreshing hibiscus lemonade. And don’t forget to bring water! Now you're ready for some easy, safe and fun outdoor dining this summer. Enjoy!